DANGER: This book is addictive. The prologue was simply a teaser! It leaves unanswered questions for you and you won't know the meaning of it until it got nearer to the end of the book and I went "ah" so that's the relation. Boy, I'm so surprised! As for the plot, I personally think it is pretty unique. Fallen angels, Nephilim, Guardian Angels. Never thought they would be presented in this way. Refreshing. Now I understand what brought about the hype for Hush, Hush. Each chapter of Hush, Hush builds throws in more questions to the reader (me) and it's really a good thing as it builds up suspense, kept me craving for more and wanting answers. Nora Grey was just an ordinary girl who's not really interested in guys until Patch Cipriano showed up. They were forced together as lab partners due to a change in a seating arrangement. She began to become drawn towards him, even though her subconscious warned her that he's dangerous. Well, couldn't blame her when she's involved in some minor accidents that left her shaken. Somebody was out to harm her and she didn't know who. She has some suspects in mind but could she trust Patch, who seemed to have an uncanny ability to be wherever she was? Join Nora to uncover the dangerous mystery behind her attacks. 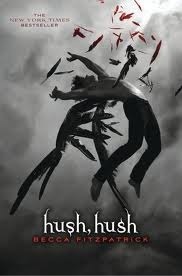 5/5 Stars for Hush, Hush. Gotta read the next book!